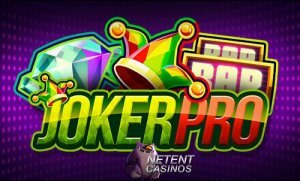 It has been an exciting week for NetEnt as two new branded slot games have been announced in the past few days while it’s today that the Joker Pro™ slot, as well as the mobile version Joker Pro Touch®, have been launched earlier today at the many NetEnt Casinos. With this launch, players can now enjoy a Twin Spin™ type of slot game featuring the innovative Joker Pro Re-Spins feature, as well as the gainful Hot Spot Win! It has been a wild ride so far in NetEntland with many new slots launched already and announced. It was end of January that the Divine Fortune™ slot found its way to the NetEnt Casinos, bringing an attractive jackpot game offering three progressive local jackpots. Today is the turn to the Joker Pro™ slot followed by the Wild Wild West: The Great Train Heist™ slot which is planned for the 23rd of February. The past few days, NetEnt announced two more video slots and they are going to be as impressive as can be considering the fact that they will be branded slots. The first new branded slot game developed by NetEnt will be the Planet of the Apes™ slot while the second new branded game revealed is the Emojiplanet™ slot in which the popular emojis, for the first time, come to life on the reels. Today, however, it’s the Joker Pro™ slot, and its mobile version Joker Pro Touch®, that’s in the spotlights. 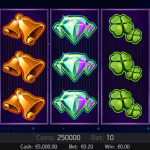 This simple, but fascinating, new NetEnt slot is now available at the dozens of NetEnt Casinos bringing you a combination of a classic and modern video slot in the style of the popular NetEnt title Twin Spin™. It’s hard to beat the popularity of the Twin Spin™ video slot which was launched in November 2013. The reason why is because this popularity is caused by the Twin Reel feature and with that a chance to win an incredible €135.000 in one spin. 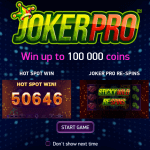 Joker Pro™, on the other hand, will be offering the Hot Spot Win of which I’m sure players will be as delighted as can be with a chance to win up to 1000 times your bet. 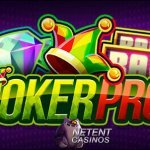 This lucrative aspect will be available during the main game, but your chances to activate the Hot Spot Win will grow once the Joker Pro Re-Spins are activated. It all starts with the Joker symbol playing the as Scatter/Wild which can appear on reels 2, 3, or 4 in the main game and in during the Re-spins feature. If one or more Joker symbols appear in the main game, it’ll activate the Joker Pro Re-Spins. During this slot feature, reels 1 and 5 turn into Wild reels, the moment your adrenaline levels are about to rise. All Joker symbol(s) involved will turn into Sticky Wild symbols and as long as new Wild symbols are added, re-spins keep going and your chances for the Hot Spot Win are growing. If three Joker/Wild symbols appear in the middle of the three middle reels, you’ll be awarded 1000 times the bet you’re playing with. 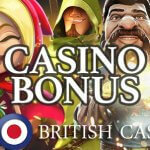 Definitely something to look forward too while playing the newest NetEnt slot at the NetEnt Casinos.